THE LEGEND OF ROMEO AND JULIET - INTERACTIVE GUIDED TOURS IN VERONA Do you really know the end of the famous tragedy? Between history and fantasy, you will experience an unique and beautiful tale: the birth of the legend of Romeo and Juliet right in the City of Love. Live a brand new experience! 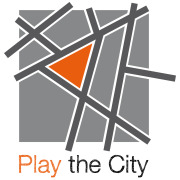 With Play the City, the traditional guided tour turns into an engaging experience that makes visitors protagonists. The participants are involved in a story, a novel in which puzzles and games alternate to news about what they are visiting. Conducted in their discoveries by a tour guide, visitors-players get new clues and informations that will lead them to the solution of the mystery proposed. Between history and fantasy, you will experience an unique and beautiful tale: the birth of the legend of Romeo and Juliet right in the City of Love. Follow the trail left by Antonio Avena, a key figure in the history of Verona, and help him put together all the clues that will lead you to discover a different ending to the tragedy we all know. Led by a local registered tourist guide in the City of Love, you will become an integral part of the story we will tell together; traveling between monuments, legends, facing riddles , games and clues, let the city of Verona reveal to you its romantics parts. by a tourist guide. The tours take place on saturday starting from 9th May 2015. Itinerary: Piazza Bra, Arena, San Niccolò, Juliet House, Piazza delle Erbe, Scaliger Tombs, Forti Palace, Portoni Borsari, Castelvecchio.All the monuments will be visited only from outside. Price 30 euros per person, including an italian "aperitivo" during the visit. Free admission for children up to 11 years old.